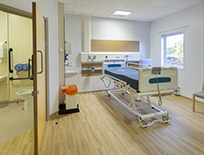 Whatever your use area whether it’s a hospital, a school, a retail store or an office we know you have a wide choice of flooring products to choose from. As you decide on the flooring specification whether you’re the architect, designer or the end user you’re being trusted with the responsibility of spending money, either your clients or your employers. No matter where the funding comes from, private funds or more importantly coming from the taxpayer, the same responsible sourcing decisions need to be made. There are many types of floor finishes that can be chosen. In the world of resilient flooring it’s important to understand the three ‘generic’ types of resilient flooring that exist in the marketplace. Regardless of manufacturer or supplier they are vinyl, linoleum and rubber. Taking time to study and assess these products as well as the manufacturers and suppliers they are being sourced from is a crucial part of the decision-making process that will ultimately guide you to make the correct product selection. Understanding and identifying how your product options fit into the key decision making factors outlined above by using up to date globally recognized third party certification that is backed by legislation, fact and not opinion is both the prudent and most sensible approach that we recommend. Fit for purpose and safe to use modern vinyl flooring is designed to give you the best Cost: Performance ratio easily beating other product types. The ‘in-use’ phase of resilient flooring accounts for at least 80% of both product cost and its environmental impact. Because of this Polyflor and certain other vinyl flooring manufacturers over the years have focused their efforts on developing products, which greatly reduce the need for energy and resource intensive cleaning. PUR flooring products particularly those from Polyflor that feature PUR that is both cross-linked and UV cured offer far superior cleaning benefits, enhanced protection and optimum appearance retention. These products facilitate a lifelong polish free maintenance regime also reducing the consumption of energy, water, polish, strippers and chemical cleaners significantly. Therefore adapting a long-term perspective is equally important as the other decision-making factors already discussed.